It seems a near-impossibility that you can buy something in a store today that has (as of this post) ZERO google footprint, but I found it. On a recent trip to Buke at the Music Center on James St., I picked up the cymbal/chime/bell/thing below. 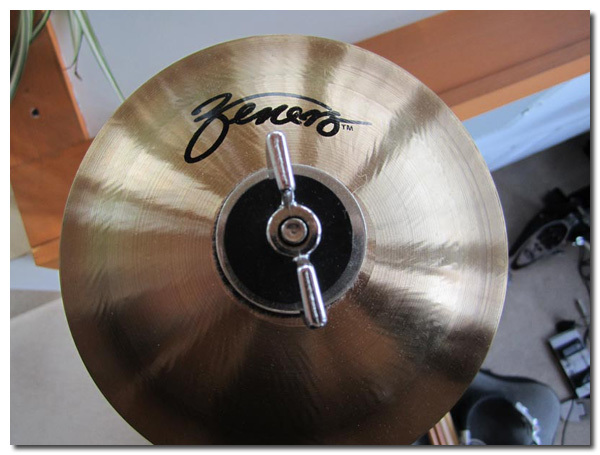 The only identifiers on this 6″ core of a heavy ride cymbal are the cursive TM’ed text that looks like “Zenero” and a pure tone that can be easily discerned from background noise for a minute or more (and you can feel the air buzzing just around it as it rings). A post to the drummerworld forum (drummerworld.com/forums/showthread.php?t=84143) simply confirmed my attempts to find info about this thing, making the drummerworld post and this blog currently “it” for info, which remains either the best or worst marketing gimmick on the internets today, with my suspicion still leaning to the former. And, furthermore, speaking of cymbals, I bought this around the same time the planet lost one of the great independent cymbal makers in Roberto Spizzichino.